Kilburn has become a hotspot for young professionals and families due to the excellent transport links, benefiting from two underground and one overground station, outstanding schools and proximity to green spaces. There are many Victorian houses and conversions as well as very recently completed new developments and a great selection of shops, bars and restaurants. 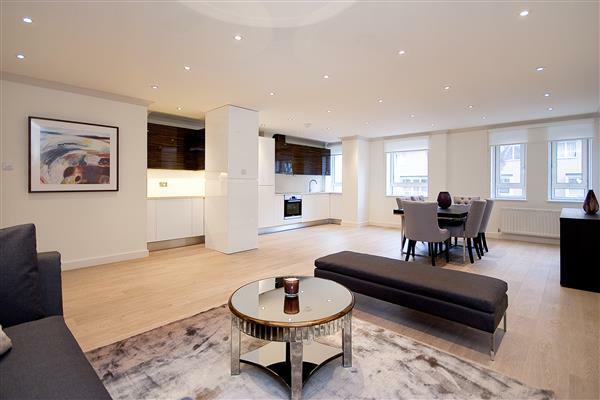 Stunning interior designed apartment extending to 1177 sq/ft. Beautifully refurbished and interior designed to a very high standard, a huge 2 bedroom 2 bathroom flat within this modern, newly built development on the borders of St Johns Wood and Maida Vale, featuring wooden floors, air conditioning, designer kitchen, conservatory and marble bathrooms. The development includes 24 hour porterage, communal garden and secure underground parking and benefits from the amenities of the adjoining 4 star Marriott Hotel and Health Club. Heating and water is included. Stunning interior designed apartment extending to 1084 sq/ft. 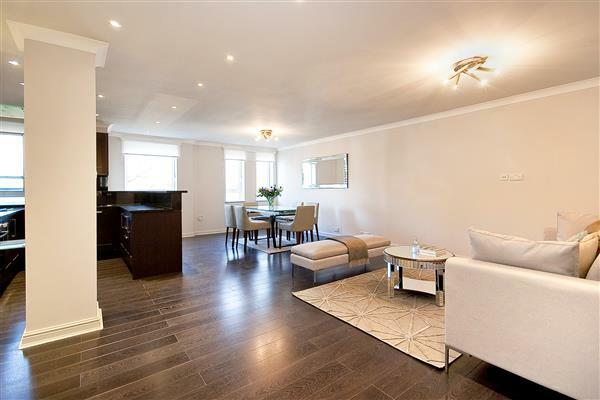 Beautifully refurbished and interior designed to a very high standard, 3 bedroom 2 bathroom flat within this modern, newly built development on the borders of St Johns Wood and Maida Vale, featuring wooden floors, air conditioning, designer kitchen and marble bathrooms. The development includes 24 hour porterage and a secure underground parking and benefits from the adjoining amenities of a 4 star Marriott Hotel and Health Club. Heating and water included.